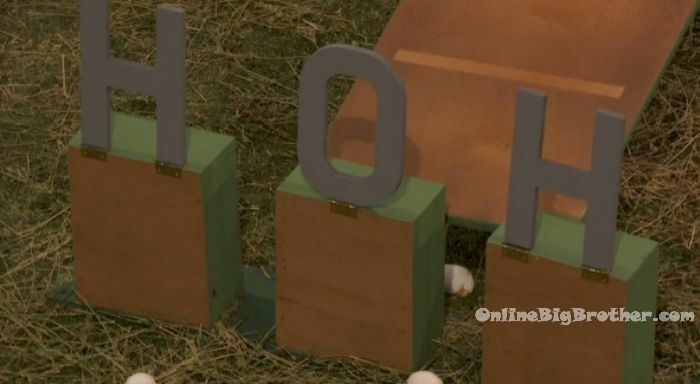 HOH competition “Poached Eggs” – Who did my booth? They super glued my letters! 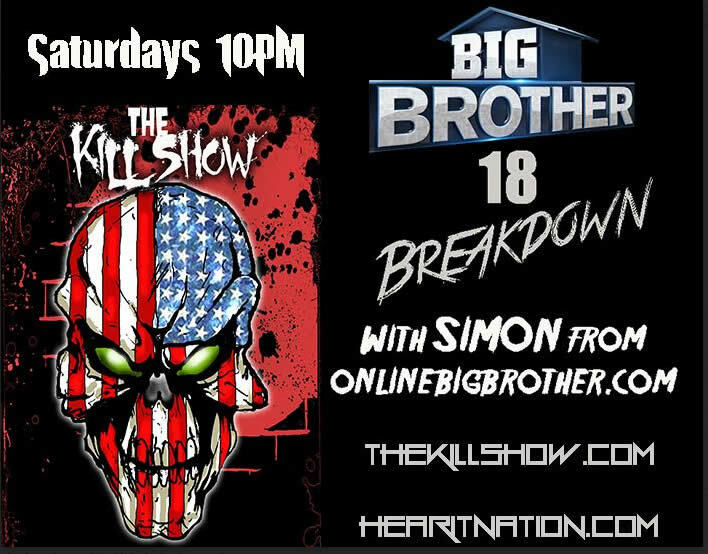 7:50pm The live feeds are showing the HOH competition. Corey, Victor, Natalie and Paul have all knocked down the “O” in their H – O – H. James still hasn’t knocked down any of his. Nat says this comp is egg-xhausting. Corey goes for his “H” and gets it. Corey only has one “H” left to get for him to win the competition. Nicole says good job Corey, James, Paul, Natalie and Vic. Victor knocks down his second “H”. Soon after Natalie knocks down her second “H” too. Nicole – he’s very happy today I kept him off the block.. 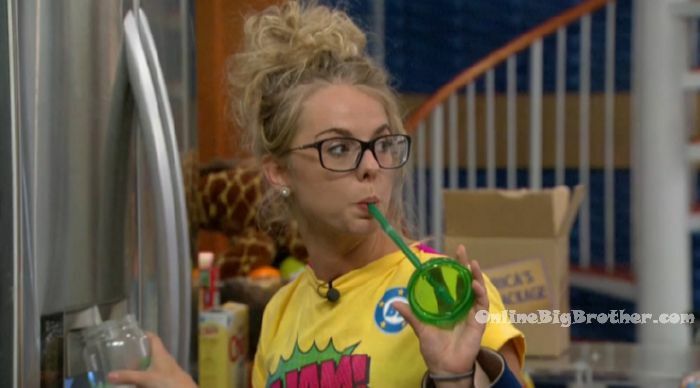 He said the deal is sealed..
4:15pm In the storage room – Nicole says I had to just keep staying. We control the whole week. Corey says I threw that life line out there for you. Nicole says I didn’t know you were going to do that. I was like was he trying to be funny ..or.. Corey says I was like I’m going to get out .. you take swing at it. Nicole says thank you.. you’re smart. I didn’t even think of that. Its never been done before. Paul’s an idiot. Nicole says he thought you were going to fold. 8:26am Natalie, Nicole and Paul clean up all the gross squid. Apparently the entire kitchen reeks like fish. Nicole – this whole house is going to stink..
Paul jokes that it smells like his fingers after Spanish class..